Miniature Tuba Horn on Stand – The Miniature Tuba Horn on Stand is a unique gift for a tuba player! 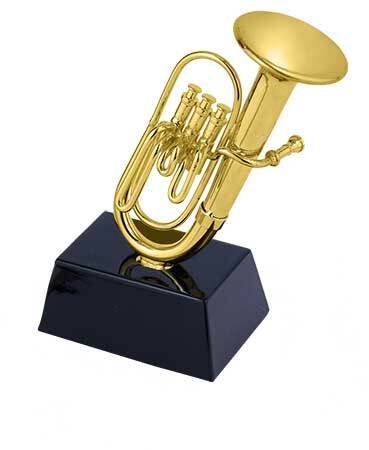 Made from metal, this figurine has been carefully crafted with amazing detail to look like a real tuba! A great accent piece for the office, home or music studio. Approx. 4″.